"Just like in the software industry, Open Source Pharma can open the doors towards the discovery of innovative and high quality drugs at a fraction of the cost of traditional drugs." "Open Source Pharma could be a great platform for researchers working independently." "Sharing tools for gaining and giving valuable thoughts and supports." "​There is an urgent need of effective research in neglected diseases and crowd sourcing may effectively group together interested people." ​"Rise in the number of communicable and non-communicable diseases, and a large proportion of population in the world is not able to afford the treatment due to the high cost. Pharmaceutical companies are shying off development of the drugs in the non-profitable areas, as the development cost of new molecule is very cost intensive." ​"Companies are competing for monetary benefit only and not committed to the human community." "Advancement in technology makes everything reachable and affordable for a common man, except healthcare. Medical bills are going high which often disrupt financial balancing of middle income family." "In today's world, where antibacterial resistance is growing drastically, there is an ever increasing requirement for a revolution in drug discovery. With this looming danger we need to get together in a knowledge sharing platform for creating a healthy tomorrow." "In this era of information, a digitalised world, we need actions with high speed with more reliable accurate results, as we all have learned the issues related to antibiotics and resistants towards them by highly mutated pathogens is happening in an alarming rate." 1) To work together to find drugs/vaccines for neglected diseases like Malaria,TB etc..
2) To create awareness about these diseases to the public. ​3) This acts as a platform for science graduates and interested students to get involved in the research projects irrespective of their current employment/position." "It's one of the global platforms for us students to learn the day to day researches. It's not complicated. I feel free to interact with any member in the group who is a part of it. One of the best motivators for us students." "I think it's important because it will allow researchers to collaborate more efficiently and make critical medicine more accessible to the people that need it the most." "It helps to create a world in which everyone can buy medicine and make a disease controllable." "Millions of people are unnecessarily dying each year under the current pharmaceutical business model. If we know that an alternative model like OSP can improve the status quo, we have a responsibility as a human race to work towards that objective." "To provide health care to the poorest of the poor and patients suffering from orphan diseases." "Open source pharma is one of the most promising models in the field of drug discovery. If this model is being followed, the cost of drug discovery will reduce, which can easily produce affordable medicine for people under the poverty line." 3) Would promote solutions to small-scale but acute diseases that are currently de-prioritized"
"We simply cannot wait for the next outbreak to realize that something must be done." "We celebrate financially and socially when we develop drugs and vaccines. There is no need for limiting achievements based on financial or social gain. Let us protect the intellectual achievement of pure research while acknowledging the need for economic recognition of our discoveries, yet avoiding hurting our recipients with excessive billing." "Luck allows us to be part of the elite 'haves' in healthcare. Courage is what allows us to risk our 'established' status to normalize the disabled amongst us to validate the worthiness of others to be cared for as equals. I am grateful to place myself and my 'pedigree' between the vulnerable refugees and our current political US administration. I may need you to show the world that people like me are worthy of defense of basic human rights. I will put myself between those who prejudge and those who are allowed to judge within our constitution." "Something is wrong here. Medicines keep getting more and more expensive - often times without any apparent reason. In fact: They are not just passively getting more expensive: Someone raises prices. It is the industry behind drug development that does it. How come that they fail so badly? The global R&D model is centered around a market - not around the public health need. Having this in the back of our minds it becomes clear why there was no vaccine ready for Ebola, why the pipeline for new antibiotics is as empty as it possibly could be: It was never the industry's aim to cure or help people in need. The basic goal was to make profit. And here they didn't fail: In fact they are doing really well!" "We need an open source pharma because I want to see both patient-driven innovation and affordable access to medical technologies, FOR ALL, no matter where they live." "To rescue from epidemic and endemic​." "Democratization of knowledge and healthcare." "Everything that is shared bring people together. The acquisition of knowledge between parties always make the following numerical dogma : 1 +1 = 3. Drugs efficiency has not evolved much in the last decade. Joining forces can only help reaching this goal. Many people cannot afford some drugs, I hope this project can help people buy them." "Open Source Pharma is needed because neither the market nor governments are likely to create the incentive (i.e. 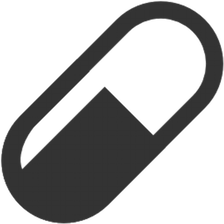 profitability) for drug manufacturers to divert resources from proven moneymakers to develop smaller and/or unproven markets. From the market perspective, even when latent demand for medications such as tuberculosis may be strong enough to capture Big Pharma's attention, it tends to stem from markets where low individual income stymies the potential for profitability. ​While governments, through regulation, have been successful at requiring that airlines, for example, operate less lucrative routes as a condition to exploit the more profitable ones, it is highly unlikely to ever see such impositions on the pharma industry." "I want medicines that heal, cure and benefit patients, rather than bringing profits." , "We need open source pharma to provide access to affordable and high quality medicines to the underserved populations. Open source movement has the potential to democratise the drug development lifecycle and help in improving the quality of life for the billions." "It is necessary to end the exploitations in healthcare industry"
Open Source and Crowd Source with Cloud Source will provide an impetus towards a paradigm shift in drug discovery." "Collaborating and sharing information through virtual community for drug discovery will make the task thrive." "Open source community should take the hold immediately for saving the lives of poor people." 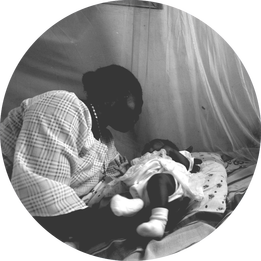 "​Neglected diseases must change into prioritized disease by open source community." "Every global citizen must have rights for access to medicine at affordable price." ​Open Source Pharma is of outmost importance in order to ease and facilitate the drug discovery process which is a challenging one. This is specially useful for tropical neglected diseases and researchers working in developing countries. I believe that OS Pharma would be very beneficial to us. "It is broken now. The brokenness and over-regulation in the name of enforcing the broken system creates gatekeeping and much higher costs for the consumers needing the medications. There is no logical reason to deny someone a maintenance medication that they need, other than to drive further profit and monitoring." Most of the people especially women need some flexibility which the conventional way of doing research does not help. This is a great way to connect like minded people with the scientific community and I wish to join this group and contribute whatever I can. To ensure medicines are available to anybody and everybody who needs it. To allow research of medication for often neglected, but important alignments in the developing world. Open Source Pharma is most important to us. This is a stage where we can do research work and find out various types of new molecules. As I think we can also discuss various topics about research work. To update our knowledge and discussion. This would be source of information to keep myself updated as well as my knowledge, too, can be beneficial to the medicine fraternity. I strongly believe medicine and healthcare should be accessible and affordable to all, any way I can contribute would be my pleasure. It is necessary for the major population of our country to get in easy touch with the required medicines 24/7. "To clear the hurdles regarding availability of medicines to all walks of people." 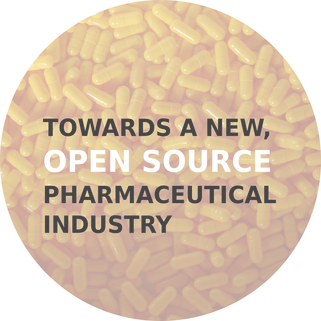 "To share views of new drug development among members of open source pharma." "Medicines at affordable rate is a must for society." "We need OSPF since there is an urgent need of drugs for various diseases effecting mankind which should be accessible to all at low costs so that even the poor can benefit. Also the drug designing quality is very important in present time so as to meet the needs of general public battling with poor health." "Open source pharma gives me an opportunity to help the people who are suffering form neglected diseases. Different people from different fields are contributing to this. It is a really good platform for the young researchers." "Seeing the rise in number of diseases everyday, Open Source Pharma may prove to be an effective way to make medicines available to all at low costs." "For years, the main problem of curing any disease is not just the discovery of cure. But more importantly the cure, medicines should be affordable to everyone. Which sadly is not. So OSP is very crucial step as to make drugs more affordable to everyone,The poor and the rich." "​According to me OSPF is a platform for aspiring researchers to think beyond their limit and to develop their thinking skills." "In order to suggest and try to solve the problem. To support and develop our surroundings and help the poor." "Many a times revolution is necessary to make the world a better place. OSPF is a REVOLUTION." "For every every illness there should be a pill and that pill should be available for all classes of people in the society." "From the view of Vector borne diseases, drug resistance is an important factor to consider as in a span of years we may not have a stock of curable drugs to treat affected people. Thus an initiative such as open source pharma is indeed necessary to take this revolution in pharmaceutical research and product development to answer sufferings of millions awaiting in vulnerable shed." "We need Open Source Pharma as a lot of uncommon diseases are being neglected and the prices are high due to which many cannot afford the drug or medicine. The goal is to discover new alternatives and cures for diseases and sell them at affordable prices so that it can be available to all. The R&D will be more improving and enhanced too. This a very noble initiative and is very helpful to the society." "Ultimately open source pharma is SERVING HUMANITY with the belief of living in harmony and helping each other." "Medicines should come under basic rights of every human. It should be accessible easily without any constraint. It should be accessible for class of people irrespective of gender, nationality & caste. Life saving drug that is available at a right time will produce miracle in ones life. Medicines do bring miracles." "Connectivity driven development in all spheres of humanity has made it imperative that we refine and reposition ourselves in order to meet the opportunities and challenges ahead of us. Open Source Pharma platform enables us all to collaborate, interact and share what we have developed to the world at large." "It will be opportunity for those who want to go ahead with their talent with appropriate platform provided." "OSP helps in discovering new drugs and vaccines for the neglected diseases which is very important and noble. I am very eager to contribute to the success of OSP." "Open source pharma is going to be that breakthrough in this digit world for the world wide reach of high quality drugs at a fraction of cost . This is going to be the best innovative idea in mankind history in medicinal field." "Its a great service towards our country and for common good." "Open source pharma is the organization which makes sure there is affordable health care for all." "Open source pharma could bring a remarkable change in the life of people which can't afford costly drugs." "Open source is a powerful tool and platform for research in much needed but neglected areas. Moreover it allows women from all walks of life to contribute in a time based manner towards nation building via gaining and spreading knowledge while feeling really empowered to work towards a great cause." "Open source pharma is like a bridge which has the potential to connect production of drugs with their affordability by the general public. New drug discoveries and their credibility in humans is something one would look forward to. As a newbie, its hard to comment on the implementation and hence to know it more at a magnified level, i would like to lend a hand to the motion in every way possible." "The global scenario is largely accumulated with health issues and economical problems, open source pharma cuts most of the steps of colloquial drug research, saves efficiently , and hence is essential." "OSP is a project towards the betterment of the people who don't get the proper cure and are still struggling with life. This movement is to provide the people awareness and source to get rid of this problem.Its always better to do something than doing nothing." "As every morning comes with a new hope which encourages our mind and inspires our soul, so open source pharma is an open opportunity to rebuild what we truly want to bring a bright morning." "It is the era of digitalization. 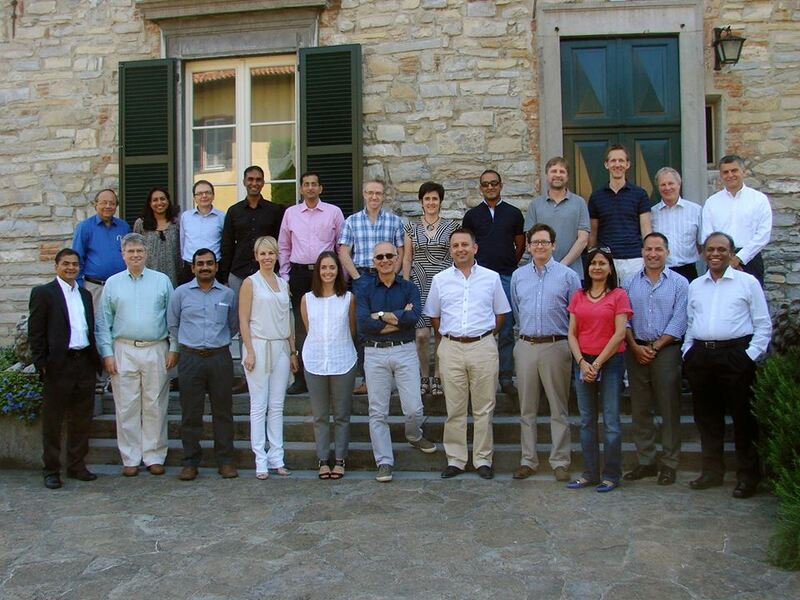 Open source pharma is a great initiative to combine medicine and technology. A great step in the field of medicine to minimize diseases." "OSPF have been helping aspirants or people interested in different fields to come under one roof to develop their thoughts and to share ideas to help in development of their respective fields." "Death is always uncertain,that not only takes away a life but all emotions and memory with it. All due to improper health and unavailability of drugs.OSP is the place where we try to find out more solution and researches to help out the most needy population with proper medication and drugs which caries morality and humanity towards humans." "The emergence of deadly diseases caused by one of the emerging microorganisms is causing a major threat to human life, the effective treatment against them is a must, in order to develop effective medicines is a must now." We are collecting voices from the global Open Source Pharma community to share on this blog. Join the movement by letting us know why we need Open Source Pharma.